Lifestyle tools to help with the journey. We only have 18 summers with our kids. The rest of our lives will be spent either celebrating what we did with them, or regretting what we didn’t. The good news is that it doesn’t take much to make lasting memories for you and your kids. This guide will help you get started. 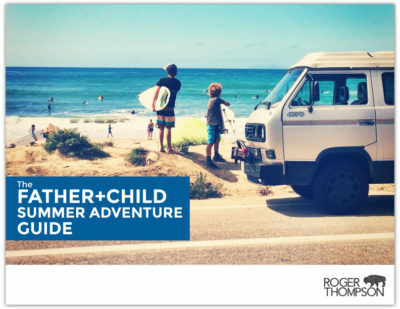 The fact that you are interested in going on an adventure with your kids makes me super stoked! I hope this guide is a help to you. Go book your adventure now...you won’t ever regret it! If you are new to camping it can seem overwhelming. Outdoor companies will make you think you need the gear equivalent of an arctic expedition for a weekend in the woods. We’ve done a lot of camping and have learned to keep it simple. 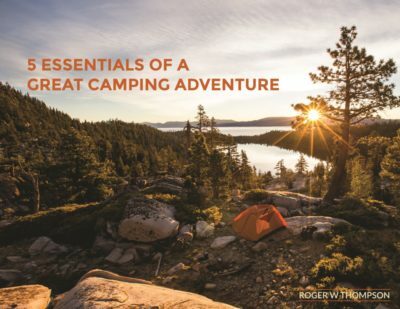 Use these 5 Camping Essentials to ensure your next camping adventure is an awesome one.